Google Custom Logo Matte Textured Ribbon with full color print Archives - ThirtySevenWest ThirtySevenWest - Creative ideas about personalized custom ribbons, woven tags and labels, personalized gifts and more!!! Here at Thirty Seven West, you are getting more than a ribbon. You get our expert team to help determine what is the best look that you need to accomplish your overall vision. 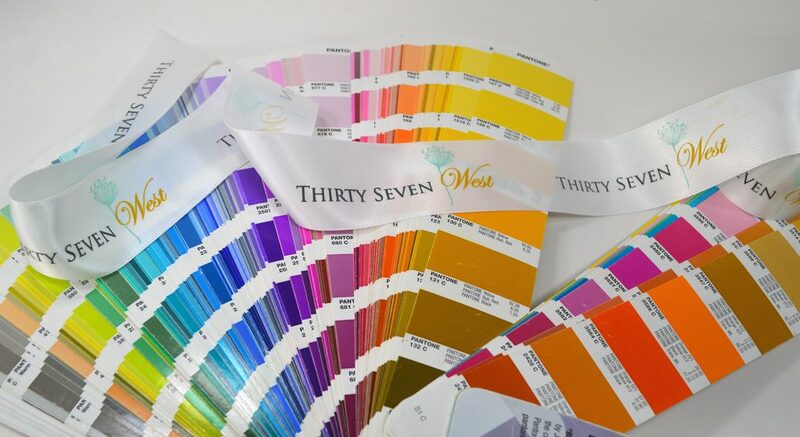 Your custom logo ribbon is an advertising piece. We don’t just process your order for a ribbon. We maximize your investment. Yes, it’s more than most ribbons. This is not just a ribbon. Our team goes to work and actually lovingly spends time creating your advertising piece. If you are in a convention hall, every gift you give out is an advertising piece telling your story of excellence and pride in your company and your level of commitment to excellence in your services. Aside from your investment in our expertise, you are getting the top materials available in the industry. Some of our ribbons are not available anywhere else, as we pride ourselves in being a step ahead of the competition. Not only for us, but also for your company and your staff. Click here to order your custom logo ribbon for your next event.